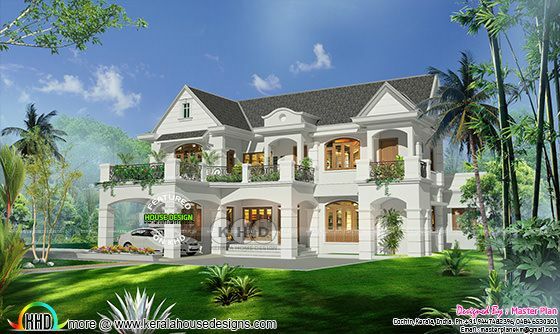 5 bedroom Colonial model house design in an area of 3300 Square Feet (307 Square Meter) (367 Square Yards). Designed by Master Plan, Kochi, Kerala. Ground floor area : 1860 sq.ft. First floor area : 1440 sq.ft. 0 comments on "Grand Colonial home with 5 bedrooms"